The technology side of your business is the engine that keeps it running. It’s difficult to separate the two as both need to be moving in the same direction at the same time. If you are the business strategist, you want to keep your focus on what you do best. Most likely, your colleagues are concentrating on the same thing. It’s good business to stay on target and not have to be distracted by issues that are not your talent or expertise such as your computer technology department, commonly called “IT“. Quality-What are your specific needs? Consider the quality of your IT support in-house or outside. Your company requires top-level support, but not necessarily on site. Follow-the-sun IT– If your company is on Pacific time, then IT support in Los Angeles is right for you. Even if you have clients all over the world, with an outsourced IT department, you have support 24/7. communication problems that encompass the language of technology. All development projects that get outsourced should include documentation. The outsourcing company should specify how the documentation should be done. Also, the company should have the source code if or when the relationship ends. The company should be able to take over the code when needed. Intellectual capital-Is your outsourcing company secure? Is your data secure? When you outsource work, you risk losing the intellectual capital invested in the project. Be sure to consider the risk factors and find out from the IT company how they protect your intelectual property. Risk factor 1. Be sure someone at your company understands what you are outsourcing. You don’t want all your technology knowledge sitting outside of your business. Risk factor 2. You want assurance that the concepts behind your work product does not turn up in work that the outsourcer does for others. Data security-Along with intellectual capital is also data security in general. 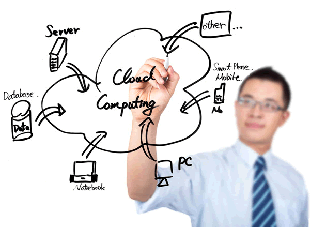 It is a prime consideration when choosing an IT outsourcing firm. Is the company using the latest and most secure systems to protect your sensitive information? Are they using Cloud for storage or servers? How are they storing your data? Ask about a server-based security network that will ensure your company’s data is safe. Agility-Outsourcing can help corporate IT agility. When in-house IT lacks the talent or the time to complete a major project that the company needs done, having a full-time IT company helps to make the deadline. Yet, it’s important for you to understand what those deliverables need to be. Ability to hire and retain good employees-Is your outsourcing IT company a good employer? How long has the staff been working there? Do they have a good reputation? World-wide events-While outsourcing can give an enterprise global presence, it also carries inherent risks when political events, natural disasters, or other disruptions occur. Be sure your outsourcing company has back-up systems to keep your data safe. Any enterprise IT organization outsources should have in place business continuity and fail over plans for work as well as for IT data center operations. Resource management– Keep in mind that there is an advantage to having your IT company relatively available in a complimentary time zone. Different time zones are one barrier to project collaboration. It is also an advantage to have a face-to-face meeting. It helps in collaboration. While we have instant messaging and email, it still can’t replace in-person communication to get started. Business managers and owners should consider having a well-conceived plan for project management and communications in place before they initiate a work relationship with an outsource firm. When you are satisfied with the answers you get, you should have a pretty good idea of whether an IT outsourcing firm is a good fit for you. It is critically important that you have complete trust in your decision as your business depends on it. When you are considering outsourcing your IT, Contact us and let us answer some of these important questions for you.